First there was a book, then a stageshow and a film, then a courtcase, a film and another film. Now, all of a sudden there's a mini-series, an arena show, a radio play, a video game. 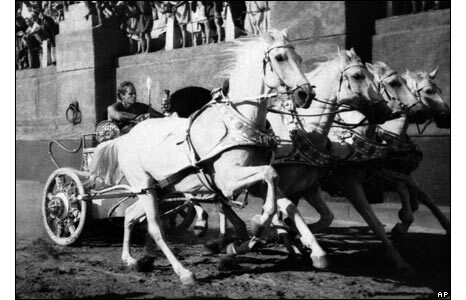 Where else has Lew Wallace's Ben Hur to go? Why a theme park of course. According to IMDB this is already on the way. Whilst I imagine the sea battle ride and the chariot ride will be great fun, I can't imagine the queues will be too long for the weeks-long trek across the desert, and the crucifixion ride might attract the odd complaint. I imagine that attendance will cost a little more than a cold cup of water though. 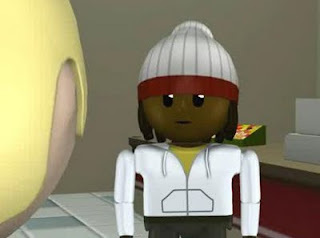 Jesus may only feature as plastc doll, but some of you may be interested to know taht my review of Nativity! is up at rejesus.co.uk. The word count always means that I have to be briefer than I would (at times) prefer, but I don't think I left much of substance out. I wanted to say somewhere that the film was hugely unrealistic - perhaps made most obvious by the costumes in the finished play - and that the ending could have been better if [spoiler] Ashley Jensen's return was without her boss cos she' decided to leave her job to be with her again[/spoiler]. Oh and that I liked the way it redeemed the teacher from the other school - a nice touch. I also thought it was interesting how they allowed all the children to play the lead roles, albeit briefly - an intersting way of allowing people to engage with the pivotal characters plus a very post-modernist angle on how we each identify with a shape Mary and Joseph in our own way. I wouldn't widely recommend the film, but if you don't mind a bit of sentimental cinema in the run up to Christmas then this is worth a go. 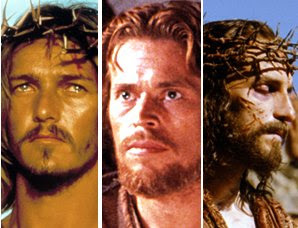 MSN's "19 Actors Who Really Should Play Jesus"
Thanks to Joseph Hollies for pointing me towards this one. MSN Movies has come up with a list of 19 Actors Who Really Should Play Jesus. It's a fun list and there are a couple of amusing choices (Sacha Baron Cohen for example). Just a few comments from me. Firstly, one of the names on the list is Christian Bale, but he of course has already played Jesus in 1999's Mary the Mother of Christ. Secondly Johnny Depp was one of the names talked about in relation to Anne Rice's Christ the Lord. Lastly Mel Gibson clocks in at number 14, along with the claim that his foot stood-in (see what I did there) for Jesus in The Passion of the Christ in the John 8 footage. I'm fairly sure this is a mistake. It's possible that after the hundreds of thousands of words I've read about this film that this fact has eluded me, but I figure it's more likely that MSN got confused between that and the oft repeated claim that Gibson used his own hands as those belonging to the soldier who hammered the nails into Jesus' hands.Edit: I've now had two comments from people verifying MSN's claim, so there you go. It looks like it is Mel's foot that we see in that scene (and of course the trailer). During the first year and a half of running this blog, there was quite a bit of talk about Anne Rice's "Christ the Lord: Out of Egypt" being adapted for the big screen. All that came to an end in August 2007 with the announcement in Christianity Today that the project was not going to "move forward". Fast forward to 2009 and a Boston Globe story on producer David Kirkpatrick which includes some more detail about why this project never made it. Rice had planned to sell Kirkpatrick the rights to her novel "Christ the Lord", which Good News executives were counting on to show that the new company was a force in movie-making. But Rice angrily withdrew when he didn’t pay her. 'David, you broke my heart', she wrote in a scathing e-mail, obtained by the Spotlight Team. Good News had no way to pay for the $263,420 advertising package - those bills still haven’t been paid. Good News had less chance of finding the $40 million Kirkpatrick estimated that it would cost to film a movie about Christ on location in Israel. But the publicity of the Kirkpatrick-Rice alliance was valuable, boosting the company’s profile as it prepared to raise funds for its own movie studio in Massachusetts. Rice withdrew from the Christ the Lord project a few weeks after the ads ran because, she said, Kirkpatrick repeatedly rebuffed her requests for payment and did not seem to be preparing for movie production. She fired off a scorching e-mail after he began writing her letters that, she felt, were an attempt to bully her. Thanks to Peter Chattaway for this one. I got a message from someone called John asking if I had seen The Making of '...And God Spoke' as he'd just found out it existed and couldn't find any mention of it on my blog. Alas I must admit that I'd not even heard of it until John's email. 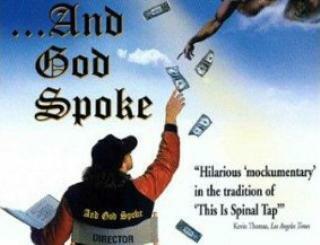 From what I can make out, the actual title of the film is simply ...And God Spoke, and it's a mockumentary about the making of a Bible film. I assume the "Making of" bit is a mistake by IMDb, perhaps because there is an extra fature on the DVD or something that has this name. I's easy to see where the confusion might set in as the film itself is about the making of another (fictional) film. If I'm right then that means that The Making of '...And God Spoke' is a film about the making of a film about the making of a film. Then again that could be the real title and this might be an odd Being John Malkovich affair. There are various comments/reviews at IMDb where it scores and Rotten Tomatoes where it's 100% fresh. The review by the most well known reviewer - to me at least - is that from DVD Verdict. 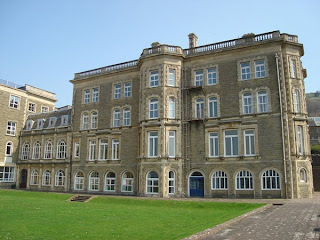 I was privileged to take a couple of sessions on Jesus films at Regents Theological College yesterday. 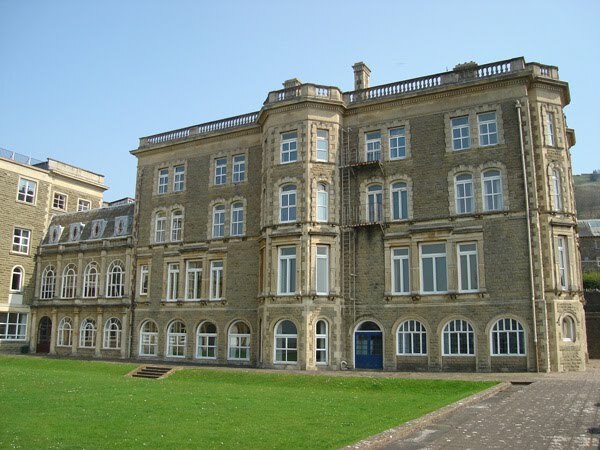 I'd been invited by Richard Hasnip (star of the The Follower and The King) as parts of Regents' Performing Arts Track, which includes an entire module on Jesus in Film. I was lecturing on Last Temptation of Christ and Jesus of Montreal, with 40 minutes on each. The technical set up was surprisingly quick and easy, and, a couple of minor things aside, that bit went fairly smoothly. I'm still trying to work out the best way of combining clips with PowerPoint, especially if the clips are from Region 1 DVDs. I'm not sure that what I did yesterday - flicking between a DVD player for the clips and a laptop for the notes - will really ever work that well, unless the clips start at the beginning of a chapter. Next time I think I'll either rip, trim and embed in PowerPoint (though my ancient version of PowerPoint can't really handle this that well), or perhaps look more closely at VLC and see if it's possible to utilise a more precise playlist or something. Anyway... I was fairly pleased with how the session themselves went, particularly given the various computer nightmares I'd been having in the days running up to the event. It was a great group: friendly, interested, plenty of insightful questions and (surprisingly) the majority had seen more than 10 foreign language films. There were a few notable observations. Firstly, someone asked me whether I thought that the alien sequence in Life of Brian was an obscure reference to Jesus' temptation because of the way the Jesus figure falls and is swept up by angels/aliens. It's an interesting theory, not least because I'm never really sure what that moment is about (aside from a nod to the then recent and hugely successful Star Wars), but my hunch is not. In honesty, it's too early to tell. At the very least I'll have to watch if before I can decide. The other observation that stood out was from Last Temptation. According to one of the class, the filmmakers made it look like you can actually see Dafoe's hand underneath his skin as he pulls out his heart. I'm not sure I have a high enough definition TV/projector to be able to see this, but again, next time I'm watching I'll certainly keep an eye out for it. Incidentally, I also owe that man an apology. At one point I said that Last Temptation was an 18 certificate, which of course it was at it's time of release (and is on my VHS copy. He challenged me on it saying he thought it was a 15, but being the big-head I am I stuck to my guns. However, it wasn't long before I started to get the odd nagging doubt - after all I have the region 1 Criterion Collection disc for this film, not the UK version - and, alas, when I checked out the DVD cover on Amazon it appears that the DVD release has been downgraded to a 15. So, on the off chance you're reading this this morning, sorry! The first session overran, even despite cutting down on quite a lot of what I had to say, but that seemed to work out for the best. Far more of them were familiar with Last Temptation than were with Jesus of Montreal, and whilst the latter film is fascinating in it's own right, I don't think it's as insightful or as interesting as Scorsese' with respect to cinematic portrayals of Jesus. It was a shame, though, that I only got to show one clip from Montreal. Having written my notes, prepared my slides and produced some notes for the session, it would be nice to have the opportunity to revisit these talks, not least to be able to tighten the content and delivery. I may at some point record some of this session and put it on the podcast, though it's probably unlikely to happen until next year now. Obviously I'll post news of that here if I ever gat around to it. Just when news about New Zealand Jesus film Kingdom Come seemed to have dried up, Paul McPherson has very kindly emailed me to let me know that the film now has a website (with blog) keeping us updated with the film's progress. No time to read it right now, but it's nice to be able to keep in touch with what's going on. Stirred by his omission from the latest Biblical Studies Carnival Jim Linville of Dr Jim's Thinking Shop has channelled his energies into making his own carnival for the complainers, or a "Carnival of Slinky Bible Babes". Given that I did complain a bit after (though not about) the last Biblical Studies Carnival, and that I also didn't get an entry, I thought this sounded like a good idea. And it turns out that not only did I get a mention (twice! 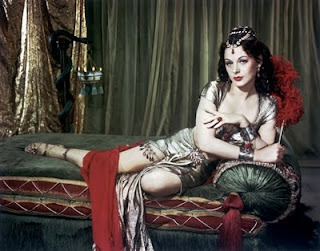 ), but also it's all about the female stars of various Bible films. This is only part one, so other names will follow, but for starters there are photos of Ulla Bergryd as Eve from the 1966 film The Bible, Pauline Frederick as Potiphar’s wife from circa 1910, Joan Collins in Land of the Pharaohs from 1955, Gina Lolabrigida from Solomon and Sheba, Hedy Lamarr from 1949's Samson and Delilah and Paulette Goddard (among others) from Sins of Jezebel. Great stuff Jim. Suffice to say I'm looking forward to part 2. One of the most frequently quoted books on Bible films is Bruce Babington and Peter William Evans' "Biblical Epics", one of the first books (1993) to really delve deep into films based on the Bible. Sadly the book has been out of print for many many years - a decade at least. It has been available on Google Books for a while, but it's just not the same. So I was really pleased to discover just now that the book has recently been reprinted by Wipf and Stock. I wasn't particularly familiar with Wipf and Stock but it appears that they are a republisher (as opposed to simply a publisher) - someone on their Facebook page "once called Wipf and Stock 'the vultures of publishing' because of the academic reprints...in a good way", and I can see what they mean. This book is so long due a reprint that I'm glad someone has finally decided to pick it up. Courses studying Jesus films and beyond seem to be continuing to grow so hopefully there will be a ready market for it. I'm going to try and contact Wipf and Stock to find out more details, particularly whether this is just a straight reprint, or whether there is any new content. I'll let you all know in due course. In either case the book is available to order now from Amazon both in the UK, the US and Canada, although it is significantly cheaper to buy from Wipf and Stock direct. 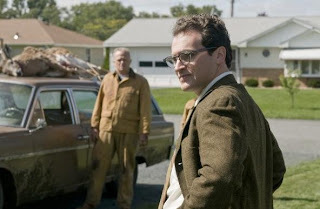 There's been a criminal lack of discussion here about the Coen Brothers' latest film A Serious Man, in part due to the fact that it doesn't open here for another 10 days. Still, for a film that has been billed as a modernisation of the Book of Job, I probably should have mentioned it by now. Given that it's been out in the States for a while, there are doubtless a hole host of links I could post, but for now I'll limit myself to just two. The first is some comments by Julia O'Brien, Many thanks to Eruesso for sending me the link over a month ago. I've been meaning to post it up for a while, but haven't had the time. Secondly, my friend Ron Reed has posted 18 "Questions for Further Study" over at this Soul Food Movies Blog. Oh and here's Ebert's review for good measure. It's been a horrible fortnight for graphics here at Bible Films Blog, for which I utterly apologise. I'm tempted to put it to some kind of vote, but sadly I don't quite know how. Anyway to bring the last two weeks to a fitting conclusion I decided to post this image from a film I just "made" online. The idea came from watching an hilarious video on xtranormal.com. It was only on watching it for the third time that I realised that it was being hosted on a site that allows you to make your own films using only a script, a few pre-defined scenarios and the odd choice with camera placing, gestures etc. (which, if anything, only enhances the genius of the above film). So I thought it might be an interesting experiment to see how it worked with a bit of script from the New Testament. I should stress at this point that neither now, nor at any point, have I been under the illusion that I would craft a great movie. Please don't think that I could ever consider what I am about to link to as in any way "good". But I thought it would be a laugh, and might even be a bit interesting. Two disappointments hit me early on. Firstly they didn't have an ancient Palestine scenario - no real surprise, but obviously this meant that this had to be some form of modernisation. Secondly, I could only convert a scene with one or two characters. This cut down my options a lot, but I decided to try and "film" the conversation between Jesus and Pilate from John 18:33-39. The result is pretty horrendous - and that's being generous. The process however was actually very interesting and I'd strongly encourage others to give it a try. For starters the text is read entirely dead pan which kicks against not only our natural sense of drama, but also against the particular ways we, as individuals, envisage a given text. In theory, this passage has some particularly momentous lines, but in the hands of these "actors" they lose any impact whatsoever. "What is truth?" asks Pilate like the cheap cyberspacian construct he is. Gary Oldman's faux-rabid interrogation from Jesus (1999) leaps to mind as if summoned from the deep by such a fundamentally opposite rendering. But it's also interesting to have to think through the many, many decisions that are there to be made. Even in a minute-long film such as this, limited in so many ways, there were a whole host of decisions I still had to make. Which of the available camera angles do I chose? What expressions should I use and when? Which accent should the "actors" speak with? And then there are a few limited techniques available for breaking up the speech, pauses etc. How do I best employ them? And in fact, with all of these choices, another question came hot on their heels, why am I making these particular choices given that all I have is a flat, unadorned text. Something like "what is truth?" can be played so many ways in our time, language and culture. What basis do I have for choosing that over all of the other possibilities? There's also something about the fact that the options are so limited that gets me thinking. Almost all creativity in the process has been replaced by an arbitrary choice from a very limited selection of options. In contrast, proper filmmakers on low budgets may also have to make do with limited options, but they have the freedom to harness their creativity to bring about something close to, and even occasionally greater than, their original vision. Anyway, I'd love to see some other takes on the biblical material, so feel free to post links in the comments or email them to me directly. 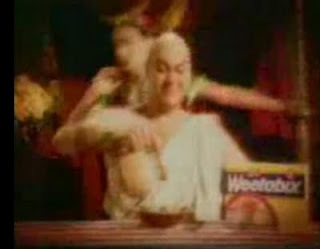 I've just been watching the latest Weetabix ad (starring Michael Gambon I think) on YouTube. As ever with YouTube there are relevant recommendations down the side, and as you'd expect there were several others, including an Errol Flynn-esque Robin Hood one. Then I noticed there was also a Samson and Delilah one featuring a cover of Tom Jones' song for good measure. As you can probably tell from the above screen shot, the quality is not great, but it's enough to get the idea. It's that time in the month when the latest of the Biblical Studies Carnivals is posted and Kevin Scull has done a fine job over at Paul of Tarsus. Most welcome is the "Audio and Video resources" section which I hope future carnivals will also include. There are a growing number of these and I only regret that my Jesus films podcast has been put to one side for the present (although there may be new episodes coming shortly). One piece that I was disappointed to read was the news that biblioblogs.com, run by Brandon Wason and John Hobbins, has decided to exclude bloggers who are not part of an institution, regardless of the quality and relevance of their work. Whilst biblioblogs.com has never, to my knowledge, claimed to be an officially representative body, they do carry a certain weight, and it's rather depressing to think that their definition might begin to be taken up in other circles such as the Biblical Studies Carnivals or the Top 50 Biblioblogs site (whose latest list has also just been published by the way). If my subject is considered too tangential, or my work is deemed to be of insufficient quality then it is absolutely fair enough if it's excluded or just overlooked, but it's a wholly different thing to be excluded on the basis of affiliation. Perhaps this is just sour grapes from me because I fear being excluded from something I have been a part of for the last few years. And sure they can argue that's it's my "choice" not to be an academic. Unfortuately I, and no doubt others like me, only discovered that this is what we would have liked to do once any realistic chance of actually doing so had already passed. Finally, it's nice to see that next month's carnival will be hosted by fellow Brit Doug Chaplin, a great blogger who is also facing the chop, and whose cause is far more worthy than my own. To build an ark for all the animals, God chose Noah. To lead them to it, God chose... Gilbert?!? 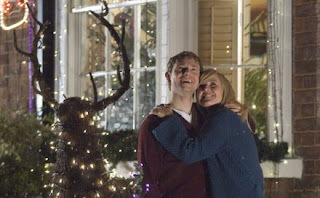 Gilbert the Groundhog loves Caroline with all his heart. That's too bad for him, because Caroline plans to marry into the upper crust of groundhog society, and Gilbert dwells in the deepest, dingiest tunnels a groundhog can dig. That is, until they start to flood! ...all because he told a lie. Now, the storm is come. The waters are rising. All these animals want is to run wild and free, but soon there won’t be any place left to run to. Gilbert had better quit digging himself into a hole, because it takes a hero to lead his friends all the way to Noah's Ark! Two thoughts spring immediately to mind. 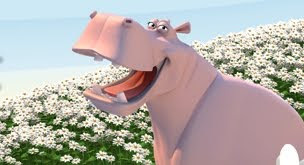 Firstly, If the hero is Gilbert the Groundhog, then who is the pink hippo in the above photo (taken from the website's only image at the time of writing)? Secondly, it seems a little strange to me that this synopsis suggests that lying is good and God's plan. It could be argued that there is some kind of biblical precedent for this, for example the Jacob story, but this kind of message is likely to repel the kind of faith groups who would otherwise be those most likely to watch a film based on the Hebrew Bible. On the other hand there are a number of interesting discussions of the film's approach to the Bible or examines the medium of animation (such as Sculpting in Virtual Space). It's good to see this level of discussion about a film at this stage in its production, and I'd encourage them to keep it up.